This year's Macy's Thanksgiving Day Parade brought in over 22 million viewers for NBC. 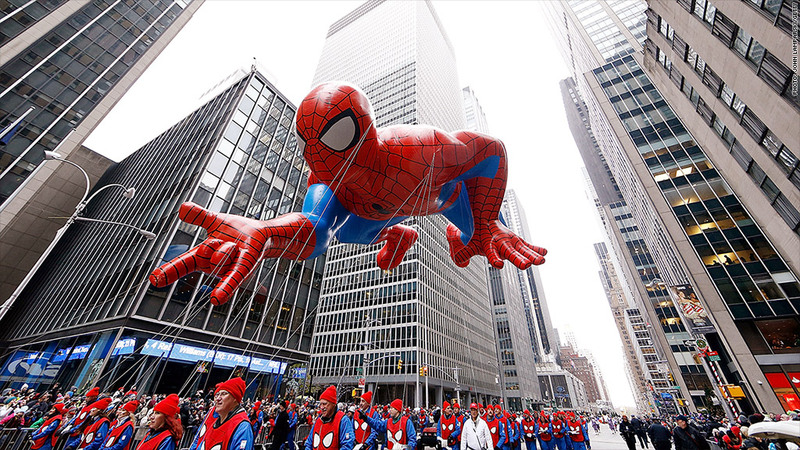 Much like the inflatable floats of Spider-Man and Snoopy, this year's ratings for the Macy's Thanksgiving Day Parade soared. NBC's telecast of the annual New York City parade averaged 22.6 million viewers between 9 a.m. and noon Eastern -- the second-largest audience for the parade in the past decade. In a press release, NBC noted that the parade -- which was hosted by Matt Lauer, Savannah Guthrie, and Al Roker -- was one of the highest-rated telecasts on TV this season, beating "every primetime non-sports telecast on the Big 4 networks." NBC works with Macy's to produce the "official" telecast of the parade. CBS broadcasts an "unofficial" version along the parade route; ratings for the show weren't immediately available on Friday. After the parade on Thursday, NBC televised another Thanksgiving tradition, the "National Dog Show Presented by Purina," and it averaged 10.3 million viewers for the network, down slightly from 10.7 million viewers last year. And NBC's primetime NFL offering of the San Francisco 49ers taking on the Seattle Seahawks netted the Peacock a preliminary audience of 17.7 million viewers, also down slightly from the year before.